Two editing methods to create a branch: General Edit and Individual Edit. 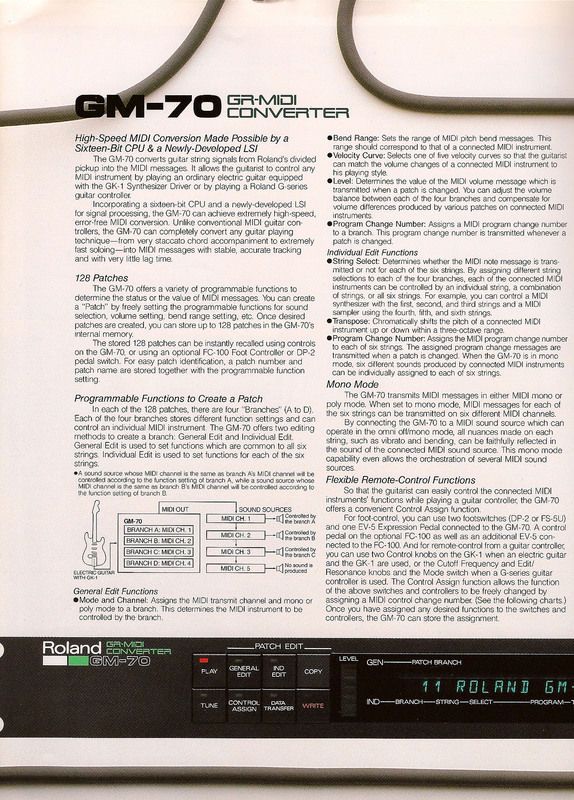 The Roland GM-70 was the first stand alone Guitar-to-MIDI converter built by Roland. 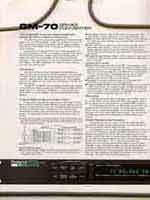 Many longtime GM-70 users insist that the GM-70 is still the best guitar-to-MIDI converter ever built. 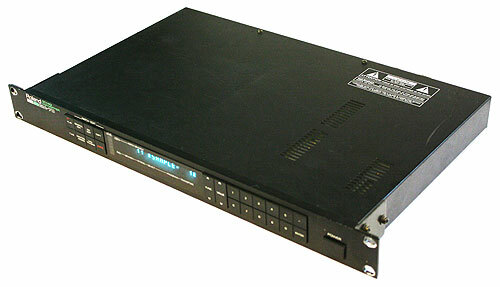 Like other modules produced by Roland during this time, the GM-70 sports a smart fluorescent blue display, calling to mind high-end Lexicon units of the same period. 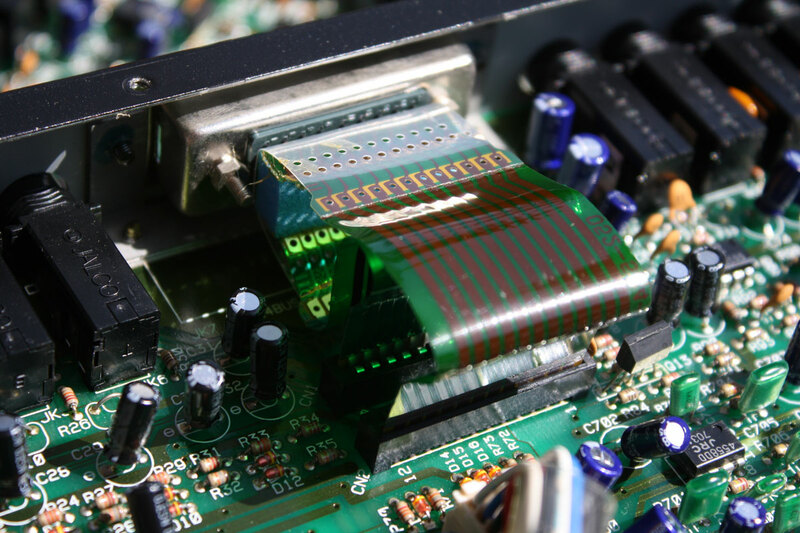 The GM-70 is flexible and easy to use as well. This much can be said about the GM-70: no other Guitar-to-MIDI converter ever built offers as many features as the GM-70, yet no other converter is quite as slow as the GM-70. 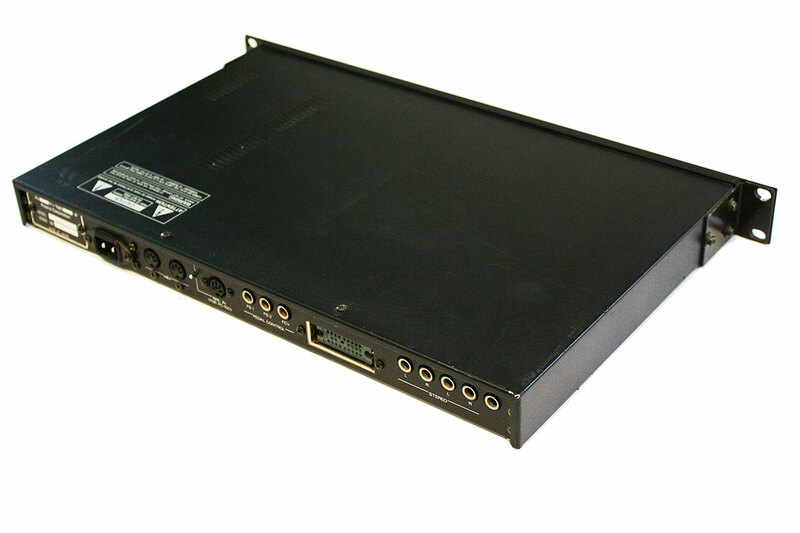 With the GM-70 you can control up to eleven possible MIDI parameters! 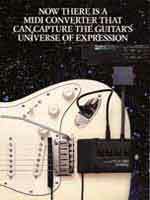 That is four destinations for the four continuous controllers on the guitar, plus two possible destinations for the mode switch. 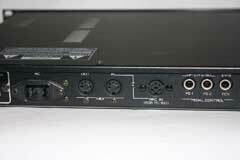 In addition, the GM-70 has inputs for two more foot switches plus a Roland EV-5 foot pedal input. Then plug in the optional Roland FC-100, and you add an additional foot switch and EV-5 pedal input, for a total of eleven! 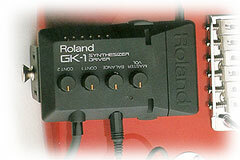 The Roland GM-70: it goes up to "11." 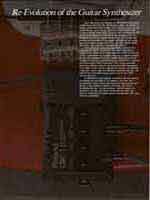 CV #3, the MIDI whammy bar found only on the Ibanez IMG2010, can be used "center" mode or "absolute" mode. In "center" mode, the whammy bar transmits values of 64 to 0 as the bar is pushed down, and values of 64 to 128 as the bar is pulled up. In "absolute" mode the whammy bar transmits values of 0 to 128, whether the bar is pushed down or pulled up. It still amazes me that the Roland GM-70 has such excellent support for the MIDI whammy bar found on the IMG-2010, but Roland never built its own guitar with a MIDI whammy bar. One final observation: when carefully calibrating my rig, I noticed that both the GM-70 and MC1 have a pretty coarse control resolution. Rather than seeing numbers smoothly scroll from 0 to 64, or 0 to 128, I would only see even numbers. 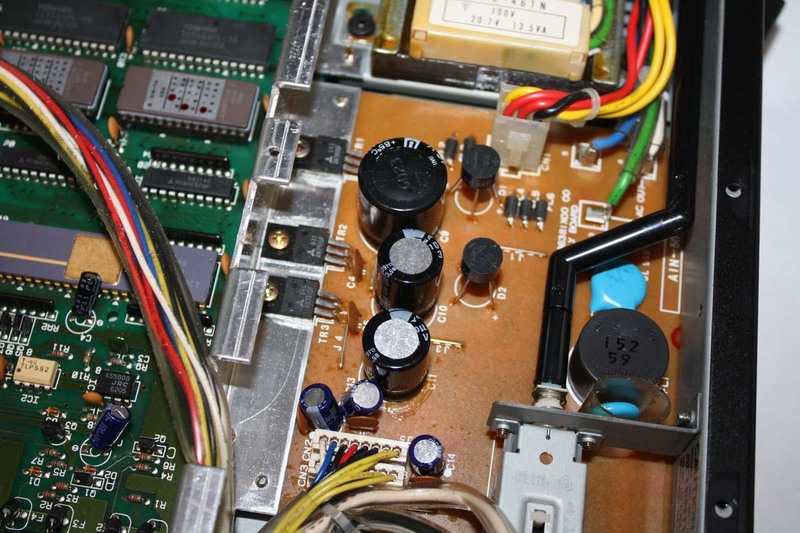 I would have to say this indicates a lack of resolution in the GM-70 and MC-1 circuitry. 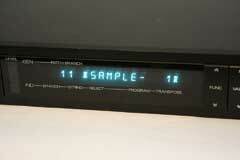 Mono Mode – Power up holding TUNE, CONTROL ASSIGN & DATA. Version 1.00 on left, version 1.03 on the right. There are minor differences in the GM-70 throughout the production run. 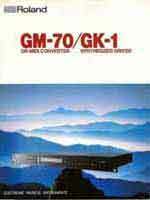 There were a total of four versions of the GM-70, version 1.00 through version 1.03. 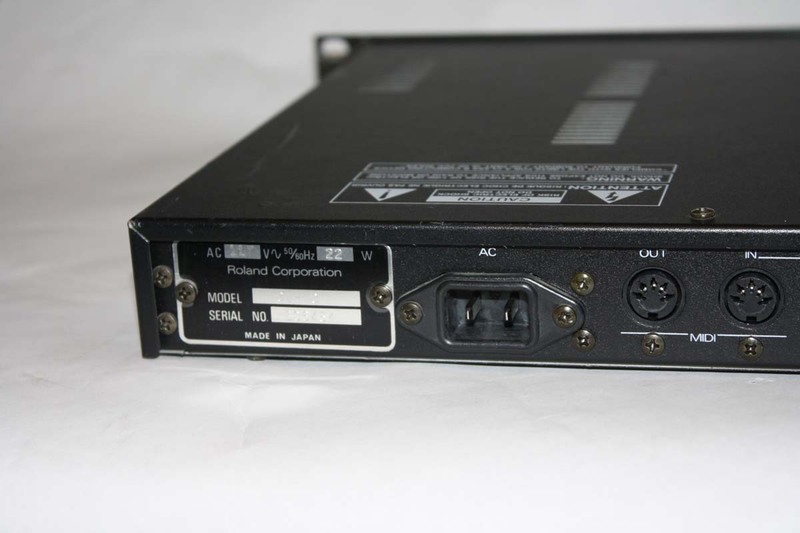 Early GM-70s have a large, cumbersome EMI (electromagnetic interference) filter attached to the 24-pin input, and a sticker attached to the top of the unit with the message, "Complies with the limits for a Class B computing device pursuant to Subpart J of Part 15 of FCC Rules." This same sticker can be found on the back of some GR-700s and GR-77B synthesizers. 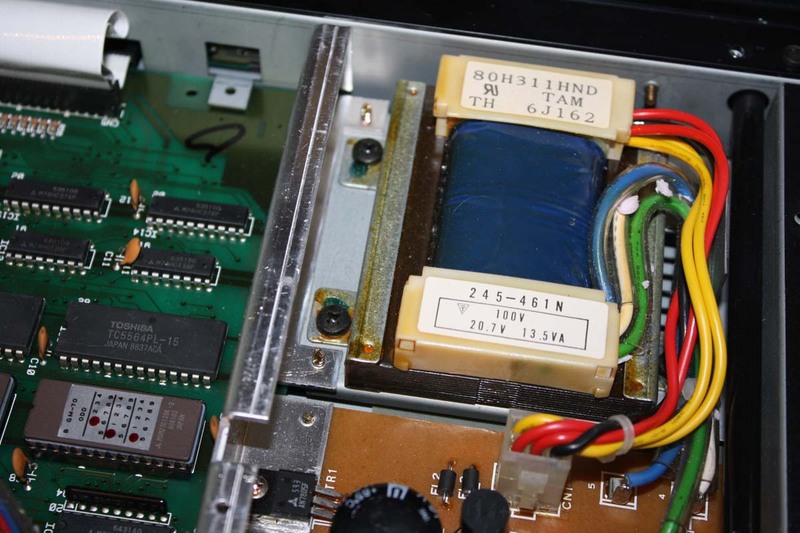 Later GM-70s dispensed with the EMI filter, and removed some additional filtering components from the circuit board. Curious, Roland also added two additional screws on the top panel. 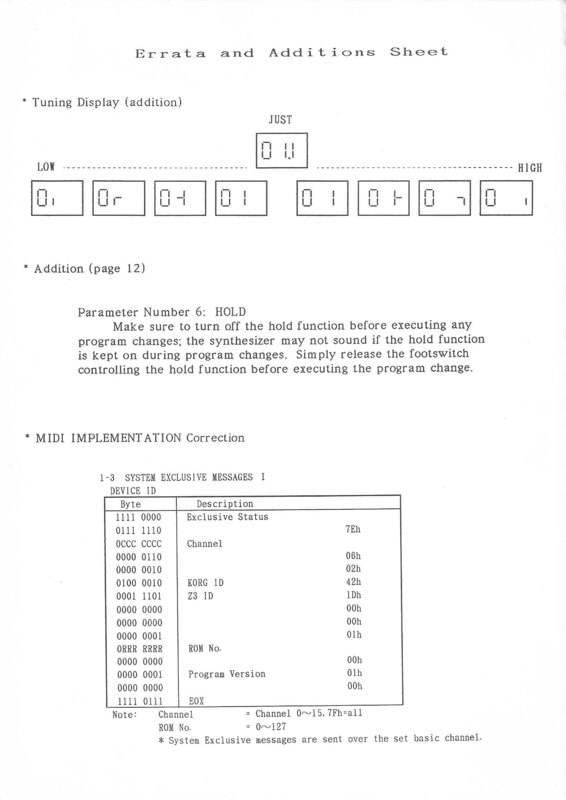 Version 1.00: Initial GM-70 Operating system software. 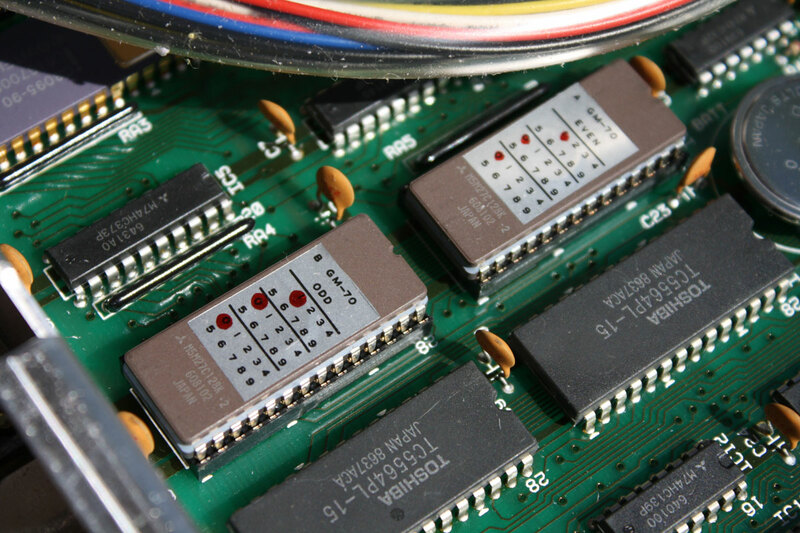 Version 1.02: Corrects problem with GM-70 following MONO mode or POLY mode reset. Version 1.03: Unexpected mode messages. 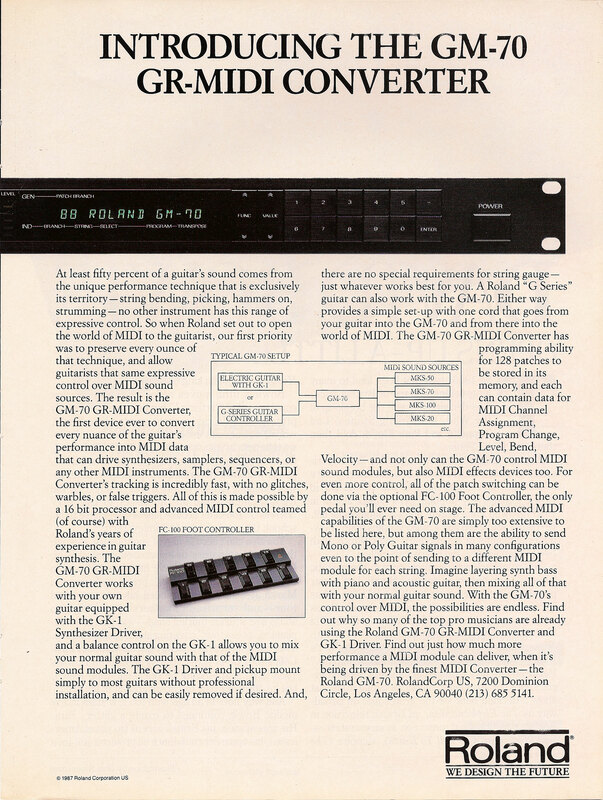 This issue is not noted in the Roland GM-70 service manual, but is addressed in a July 7, 1987 service bulletin. See service bulletin below regarding the version 1.03 software. 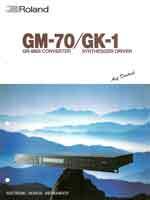 GM-70 user Ted Rogers emailed me to let me know about a rare software upgrade for the GM-70, which Ted called the "hyper-speed" modification. According to Ted, the modified GM-70 was designed to work with all the strings on the guitar replaced with "B" strings. On the other hand, in my tests a modern GR-55 could trigger an internal sound on the "B" string in 19 ms, and the low "E" triggered in 30 ms. So a modern GR-55 triggering internal sounds still beats a GM-70 with the "hyper-speed" modification. Ted is the only source of information I have on the "hyper-speed" modification. 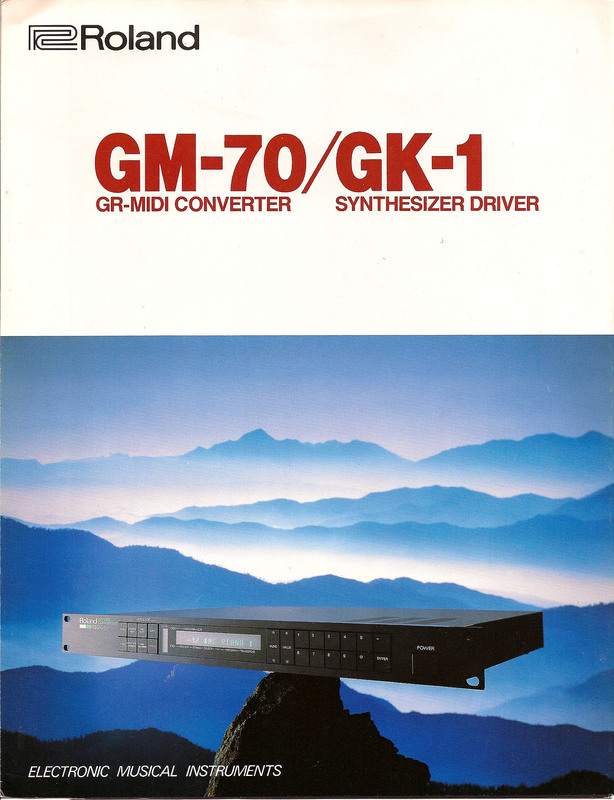 In terms of MIDI continuous control power, the GM-70 remains unmatched. 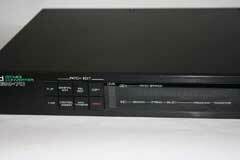 But the pitch-to-MIDI tracking on the GM-70 is slow and woefully inadequate by modern standards. 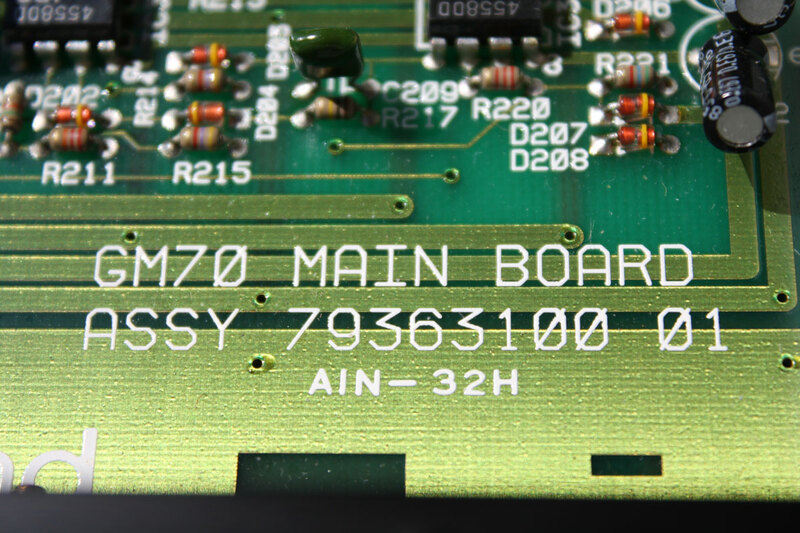 To bring the GM-70 into the modern era, this module has a dedicated circuit board with a DB25-pin interface installed in place of the original 24-pin connector. The interface board functions as a Roland BC-13, converting the IMG2010 vintage signals into the modern Roland 13-pin format. 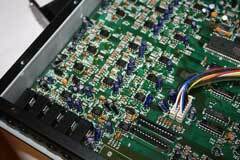 The board also generates new control signals for the GM-70, allowing two more assignable foot switches to be plugged into the GM-70 rear panel. 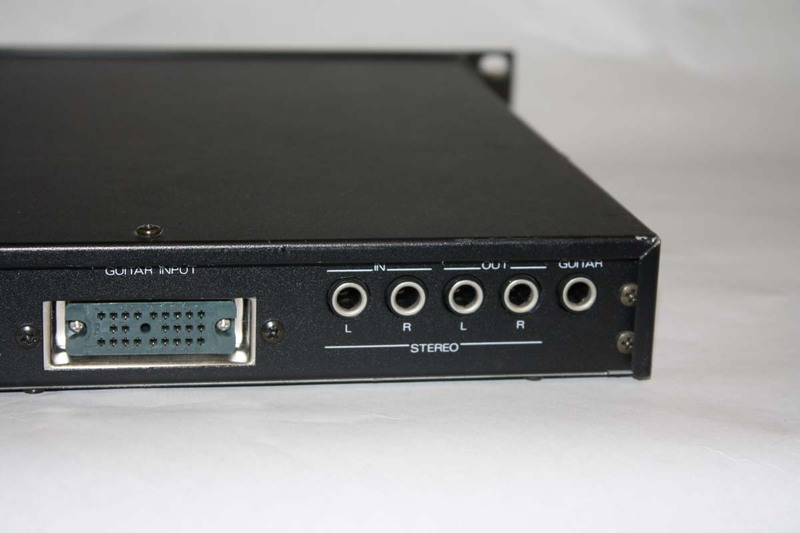 This upgrade allows up to four foot switches and one Roland EV-5 pedal to be used with the GM-70 Turbo, sending MIDI CC data to any MIDI synth, not just the Roland GR-55 or VG-99. 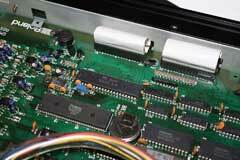 The specialized Roland BC-13/GM-70 Turbo circuit board also re-configures the way volume commands are processed. With the original Roland GM-70, you can have 100% synth output and 0% guitar. Or 0% synth, and 100% guitar. Or any mix between, such as 75% synth, and 25% guitar. But not 100% synth, and 100% guitar. With the GM-70 Turbo Plus, you can have 100% synth, and 100% guitar. The master volume now directly controls the synth volume irregardless of the mix/blend control, and the mix/blend controls guitar volume control. Rear Panel Configuration. Click to enlarge. 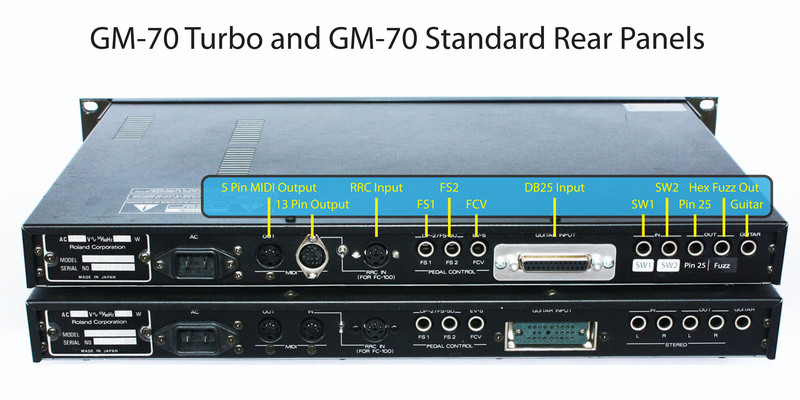 Check out the photo left to compare the standard GM-70 with the GM-70 Turbo. What is different? 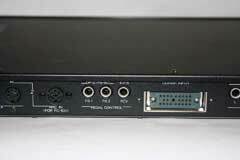 The MIDI input has been removed and replaced by a modern Roland 13-pin output. 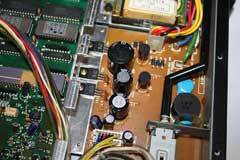 The little used stereo VCA inputs have been re-purposed as foot switch inputs SW1 and SW2. 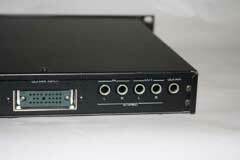 The stereo outputs now access the hex fuzz signal directly, and provide access to the pin 25-control line. How can pin 25 be used? 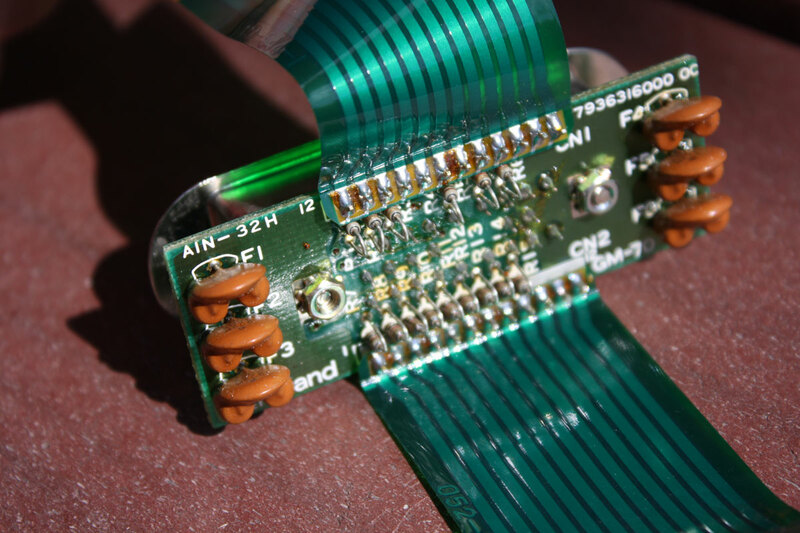 In the vintage synth guitar, you can connect a simple SPST toggle switch to pin 25, and ground. 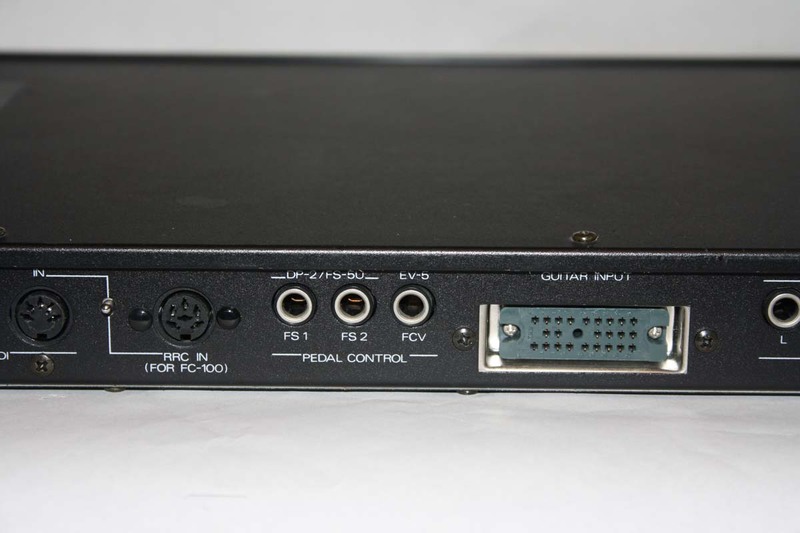 Then connect a 1/4" cable from the Pin 25 jack on the GM-70 Turbo output, to foot switch input SW1, or any of the foot switch inputs, such as FS1 , FS2 or SW2. Now you have an additional switch on the guitar that can be assigned to any MIDI continuous control parameter. 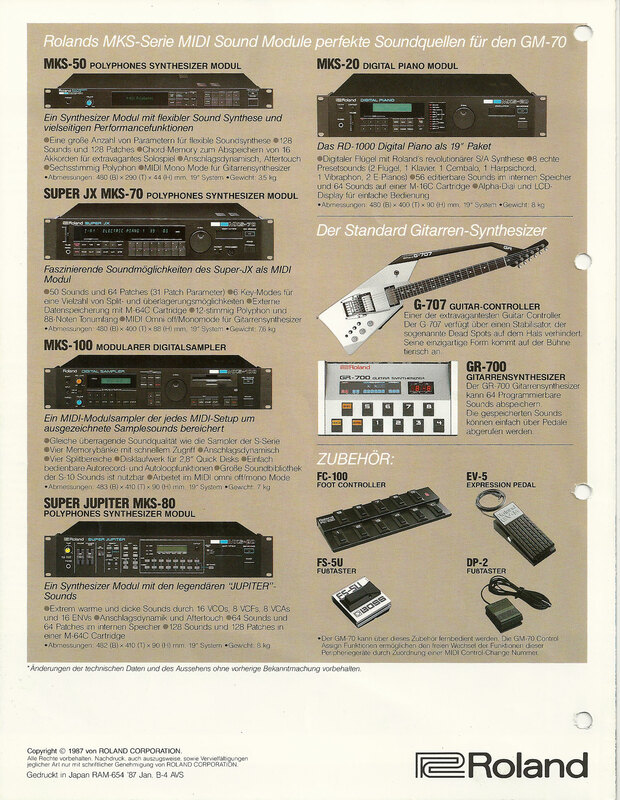 The Roland GR-55 is used with a vintage Ibanez IMG0210 and the Roland GM-70 Turbo. 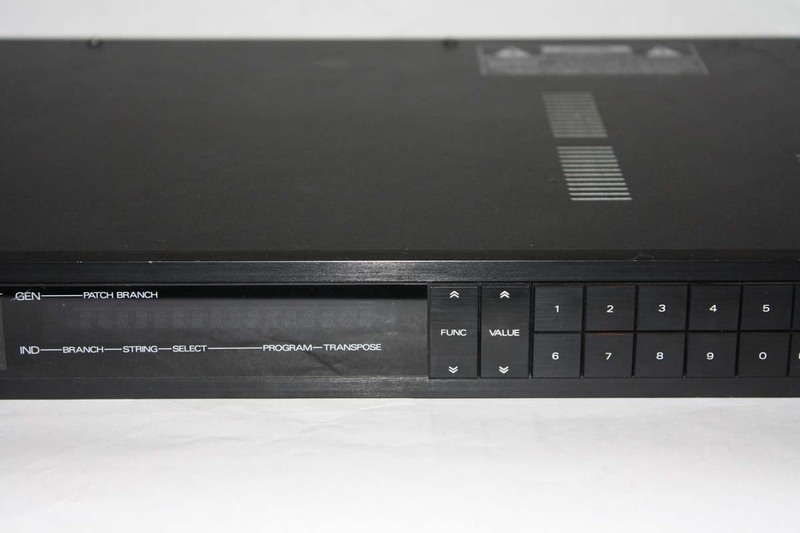 The GM-70 Turbo outputs both 13-pin modern controls signals, plus MIDI control messages. This demo highlights the unique virtual whammy bar on the IMG2010. The virtual whammy bar can also be used for more than just pitch bends, like creating expressive voicing for brass swells, etc. Both the Roland GR-55 and VG-99 offers extensive capabilities to add expressive control through MIDI continuous controllers. 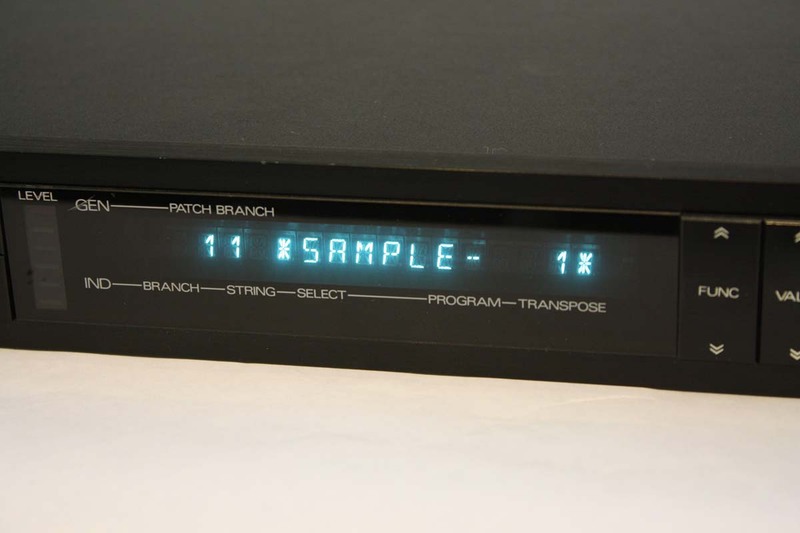 Almost any parameter can be controlled remotely via MIDI, and the user can specify the control range, the polarity, and dial in the exact musical effect they want to achieve. 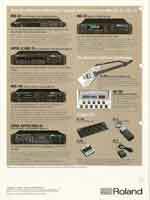 This video clips steps through a few examples of MIDI control using the Ibanez IMG2010 guitar, and the GM-70 Turbo with the GR-55. 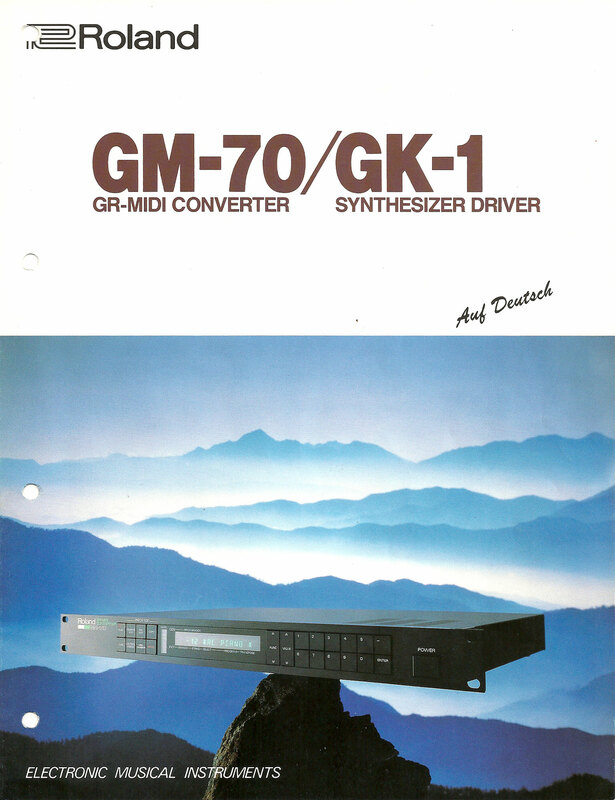 In terms of MIDI continuous control power, the GM-70 remains unmatched. But the pitch-to-MIDI tracking on the GM-70 is slow and woefully inadequate by modern standards. The interface board functions as an integrated Roland BC-13, converting the vintage 24-pin guitar signals into the modern Roland 13-pin format. This enables direct control of modern synths like the GR-55 or VG-99 with a vintage guitar. 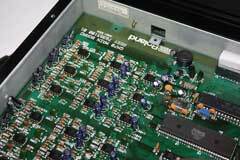 The specialized Roland BC-13/GM-70 Turbo circuit board also reconfigures the way volume commands are processed. 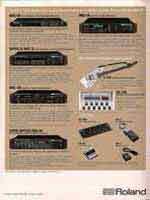 With the original Roland GM-70, you can have 100% synth output and 0% guitar. Or 0% synth, and 100% guitar. Or any mix between, such as 75% synth, and 25% guitar. But not 100% synth, and 100% guitar. With the GM-70 Turbo Plus, you can have 100% synth, and 100% guitar. The master volume now directly controls the synth volume regardless of the mix/blend control. 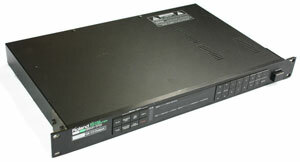 * = Feature available with optional Roland FC-100. 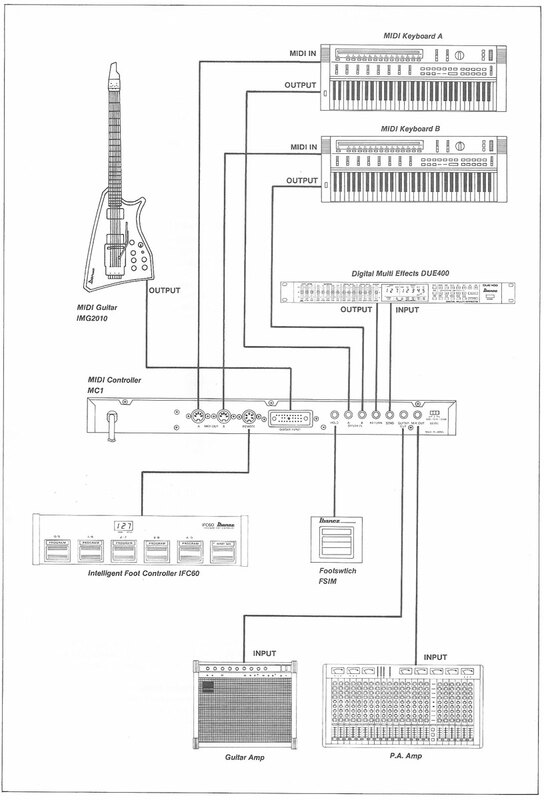 The chart above shows the configuration I used for the virtual GR-300 demonstration patch posted below, playing the virtual GR-300 on the Roland VG-99. 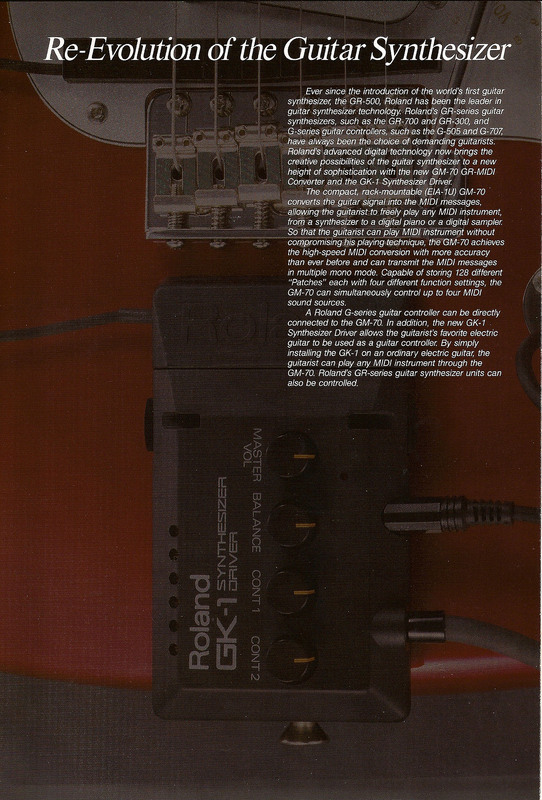 As you can see, the guitar transmits four continuous MIDI controllers, and the volume and mode signals from the guitar are re-configured and conditioned for modern GK Volume and GK S1/S2 switch commands. 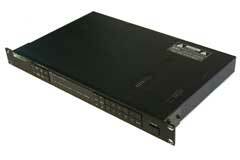 In addition, the GM-70 is set up to transmit no less than nine MIDI continuous controllers! 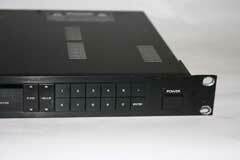 Five full-range MIDI controllers, 0-127, and four switches. 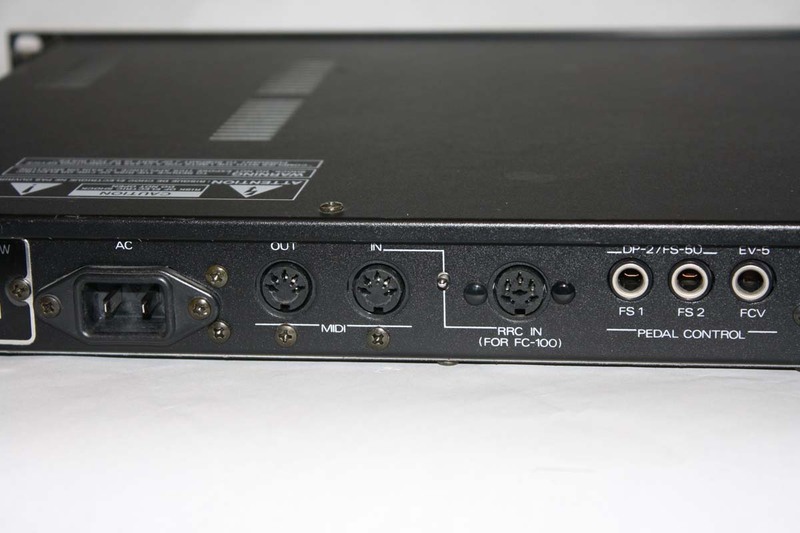 If you add the optional FC-100, you get another full range pedal input, plus another switch, for a total of eleven. I am using basic SPST with the GM-70, latching on/off outstretches, with LEDs. For this reason, I set all the switch inputs to "unlatch" mode. 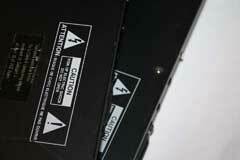 The foot switch inputs are designed so that "off" is "closed", and "on" is "open." 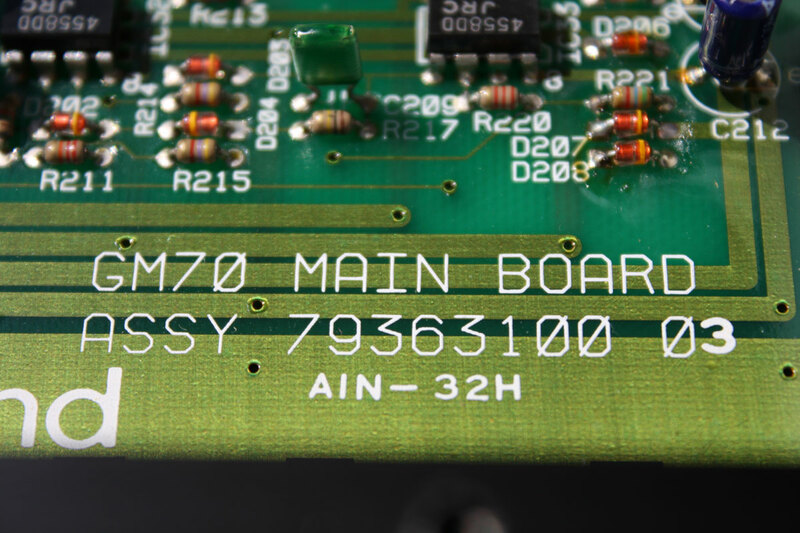 By using the "unlatch" mode on the GM-70, the LEDs show the status of the switch, on or off. 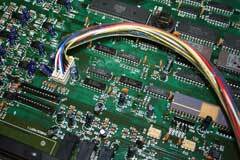 It is easy to program the MIDI devices to smoothly respond to control signals from the virtual whammy bar. 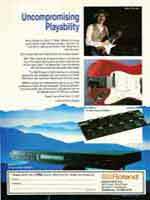 The virtual whammy bar (CV3) can be used in "Absolute" or "Center" mode. In "Absolute" mode, the whammy sends a value of "0" when the bar is at rest. Pushing the bar up or down increasing the value. For example, when transmitting MIDI continuous controller data, the GM-70 will send a value of 127 when the bar is pushed fully down, or fully up. In "Center" mode, the whammy sends a value of "64" when the bar is at rest. Pushing the bar up increases the value. For example, when transmitting MIDI continuous controller data, the GM-70 will send a value of 127 when the bar is pushed fully up, and 0 when the bar is pushed fully down. The resolution of "Absolute" mode is higher than "Center" mode. However, in "Center" mode, you can program the virtual whammy bar to do different things depending on whether the bar is pushed up, or down. You can program the VG-99 or GR-55 to respond in one way for controller in a range a 0 - 64, and a different way for controllers in the range of 64 - 127. See the examples below. Summary: Pressing the Virtual Whammy bar down transposes the modeling guitar pitch down -2 steps, and pulling the Virtual Whammy bar up transposes the modeling guitar pitch up +2 steps. 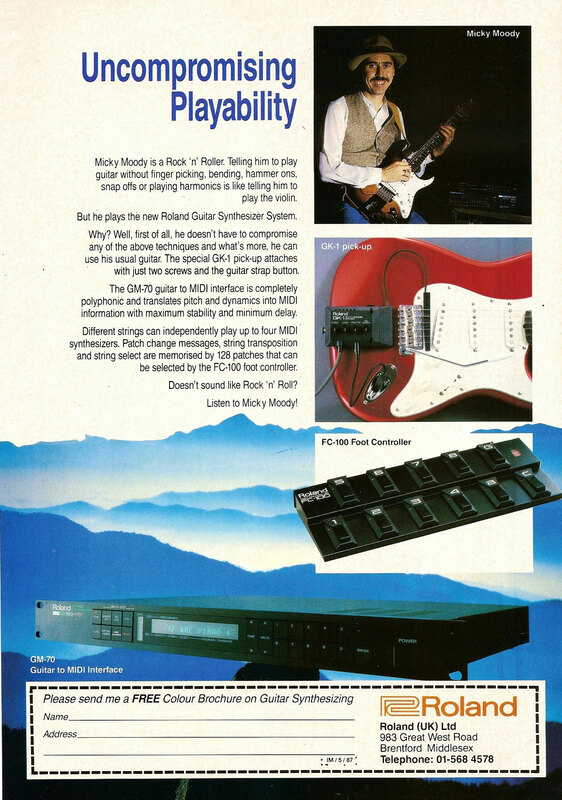 The Modeling Guitar and PCM tones bend together. Summary: Pressing the Virtual Whammy bar down transposes the modeling guitar pitch down -12 steps, but the PCM tones are not effected. Pulling the Virtual Whammy bar up transposes the PCM tones up +12 steps, but the modeling pitch is not effected. In addition to the Virtual Whammy bar, the IMG2010 has the more control knobs that can be programmed to make real-time control changes. The obvious application is to map modeled GR-300 parameters to these knobs, filter cutoff, resonance, and LFO depth. But any of the extensive list of GR-55 or VG-99 parameters can be changed in real time, making for a high level of performance capability. 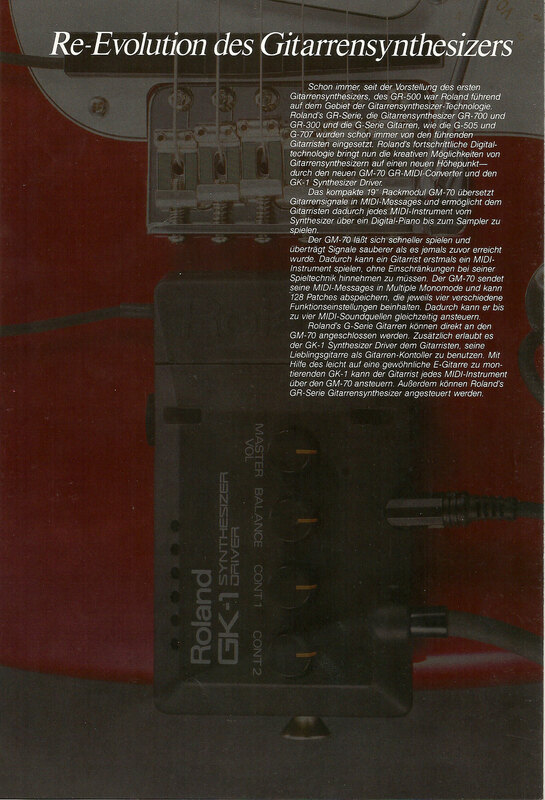 Summary :A big part of the pleasure of playing the original Roland GR-300 analog guitar synthesizer is manipulating the synthesizer controls on the guitar. 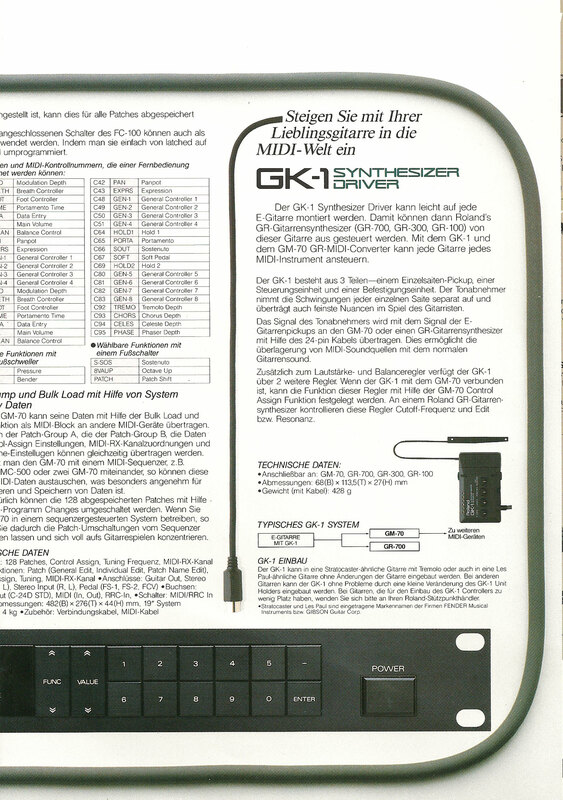 The original GR-300 controls are: CV#1 (first knob) filter cutoff, CV#2 (second knob) resonance, and CV#4 (third knob) LFO depth. 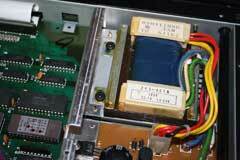 To go further, a Roland EV-5 is plugged into the rear panel FCV input on the GM-70 Turbo. 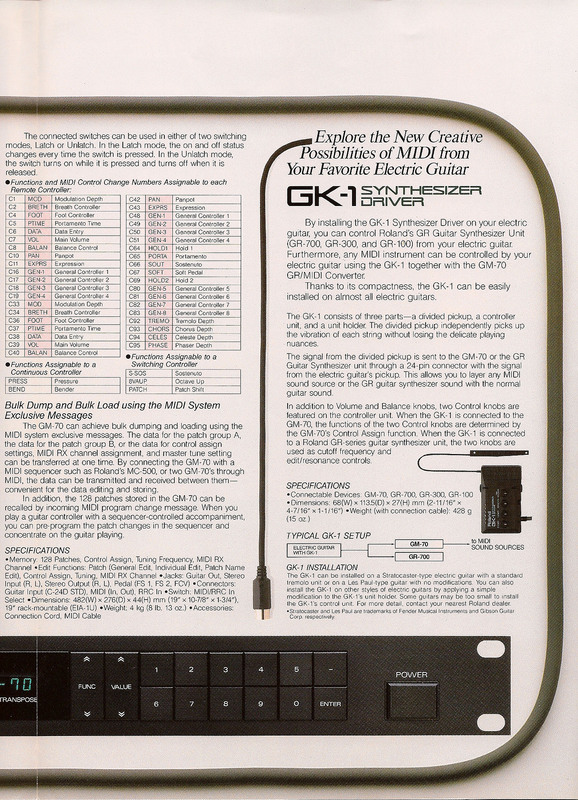 This pedal transmits MIDI CC #22 (see the assign chart). 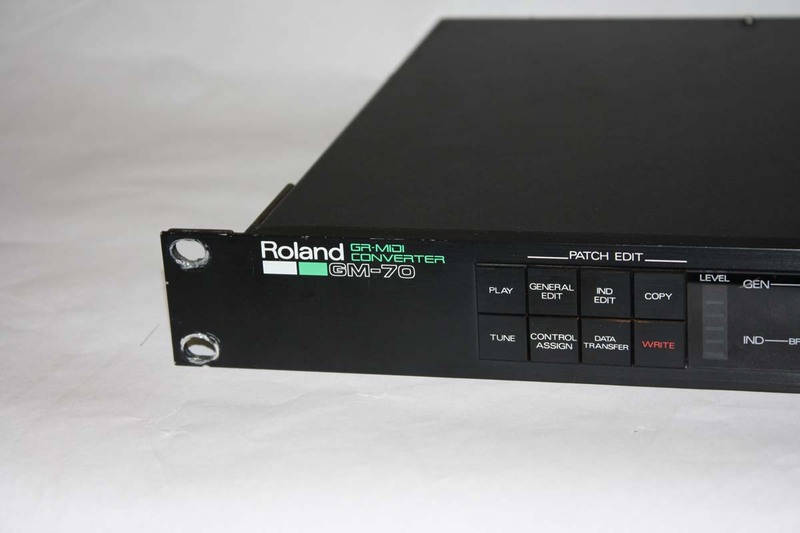 On the original Roland GR-300 LFO rate was controlled with a top panel knob on the GR-300, which is not nearly as convenient as using a foot pedal. Activate the LFO: Be sure to edit the patch and turn the LFO (MODEL/SYNTH-ANALOG /VIBRATO SW = "ON"). Otherwise the LFO rate and depth controls will not work. Summary :The Dreamin Resonator patch lets you control the PCM tones with the foot pedal, but what is you want to control the level of the modeled guitar? 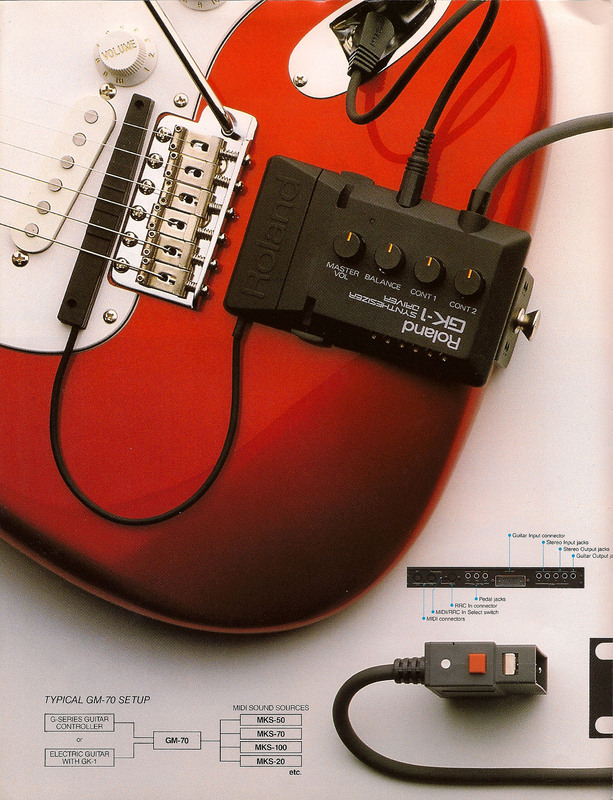 CV#1, the first control knob, is used to control the level of the modeled guitar. There is a wondered, swimming delay, but there may be times when you just want to guitar only, so this patch allows you to control the delay level with CV#2, the second knob. 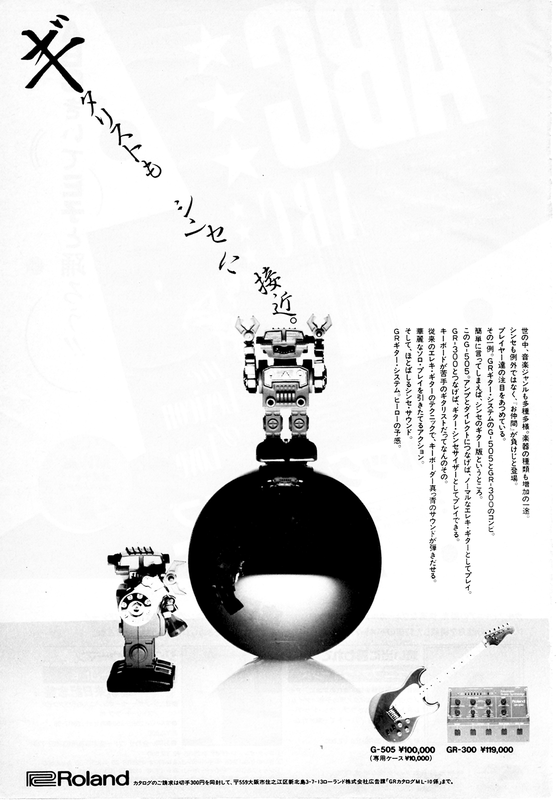 Finally, CV#4 (the third knob) is used to select from the Banjo model, the Resonantor model, and a bass model. 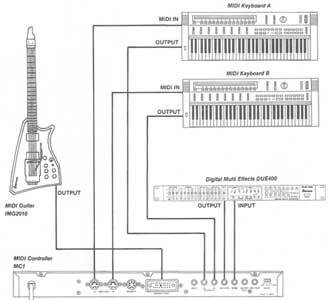 In addition, pressing the Virtual Whammy bar down transposes the modeling guitar pitch down -4 steps, and pulling the Virtual Whammy bar up transposes the modeling guitar pitch up +4 steps. The PCM tones are not effected. Roland notes that there is a software bug with version 1.02 software. The GM-70 will send an unexpected Mode message when changing patches. 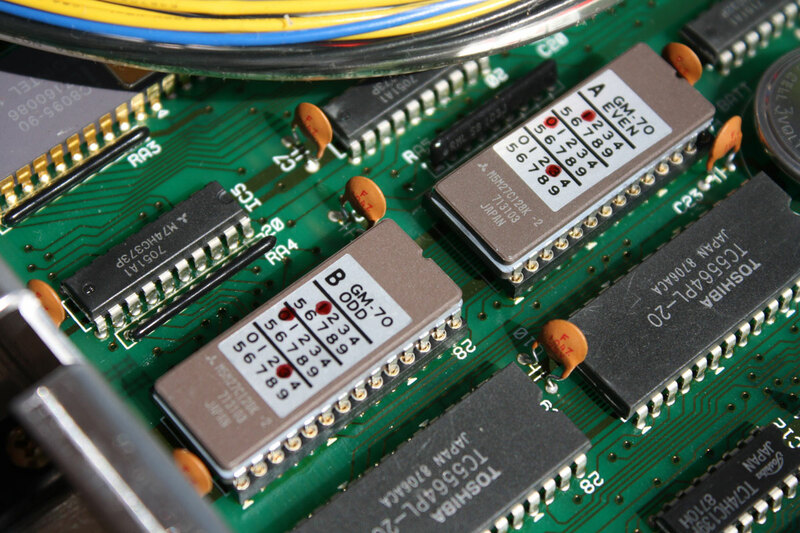 The solution is to change the EPROM from version 1.02 to version 1.03. 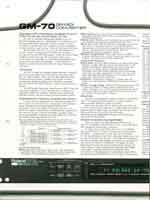 Download the original GM-70 service bulletin. 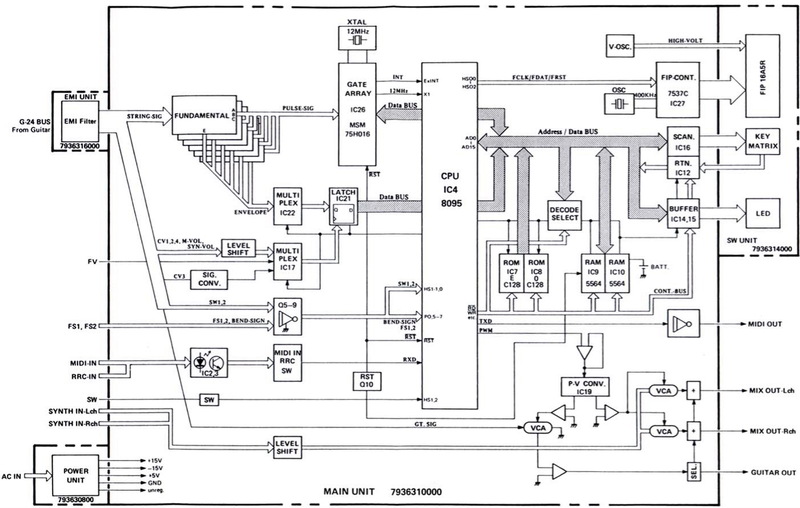 Download the GM-70 Service Manual Schematics. 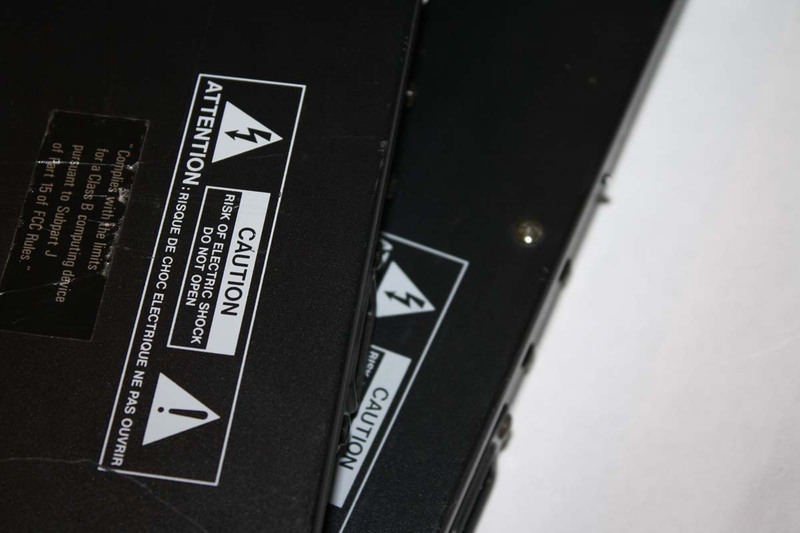 The original lithium batteries installed in the Roland GM-70 have a service life of 5 years, but they have lasted much, much longer. You may find your GM-70 does not retain its memory settings. 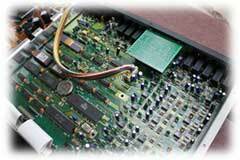 If so, you may need to replace your lithium battery.